Patriot was stolen by individuals from the shelter. 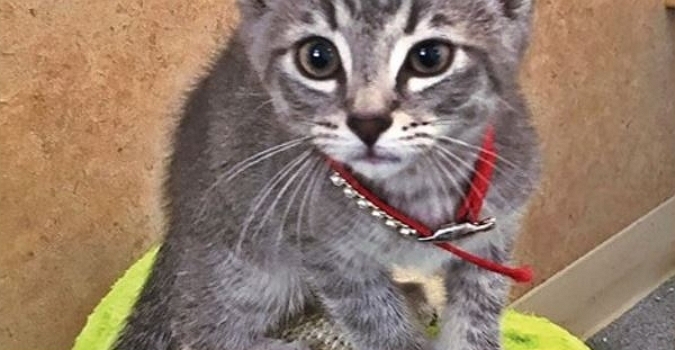 Surveillance video and photos were released to the public in an effort to locate the abducted kitten. 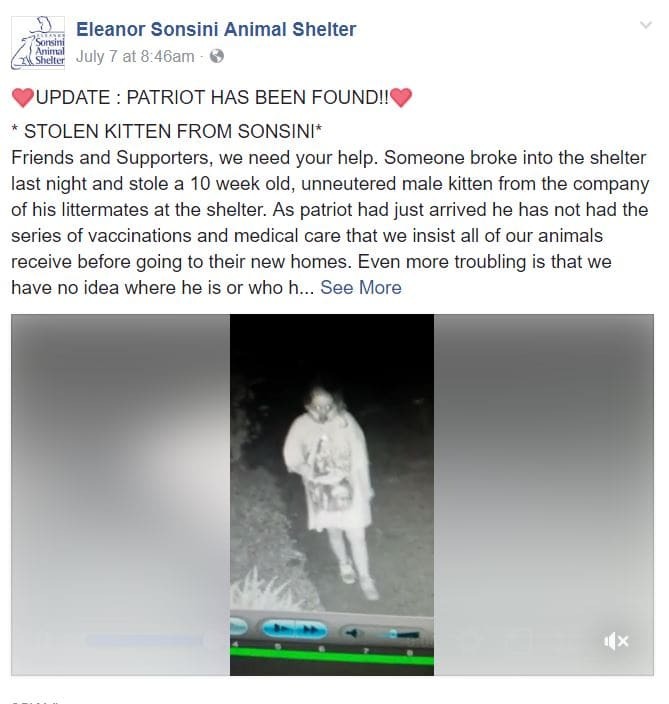 Everyone at the Eleanor Sonsini Animal Shelter in Pittsfield, Massachusetts, is breathing a sigh of relief following the recovery by police of 10-week old Patriot. The kitten had been stolen by individuals who broke into the shelter and removed him from his littermates. Surveillance video and photos were released to the public in an effort to locate the abducted kitten. 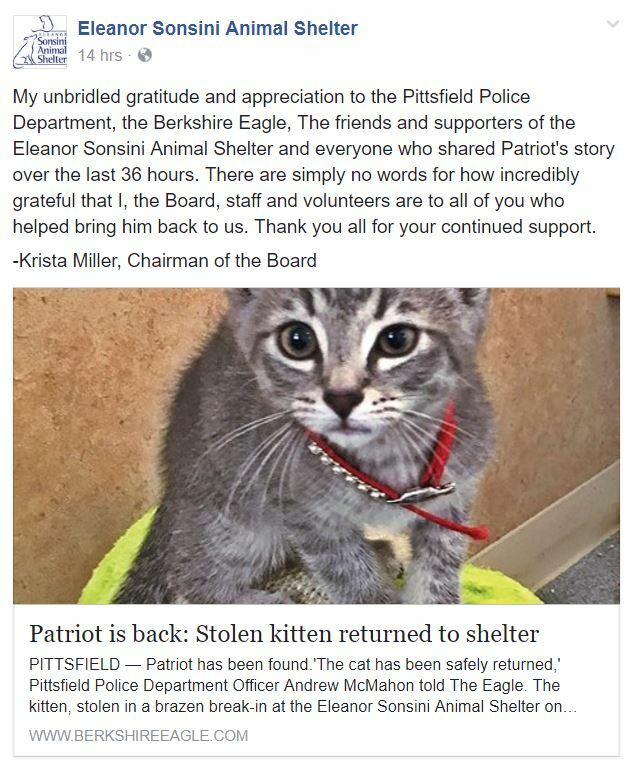 While Pittsfield Police, who located and returned the kitten to the shelter, are not divulging any information at this time, they did confirm an investigation is ongoing.